Most small businesses seek some type of external funding at some point or the other. Businesses require financial assistance for a host of different purposes. Some of the common reasons why they take loans are because they are looking for working capital, refinancing existing loans, buying machinery, hiring more staff etc. There are some alternative financing options for small businesses that help them run smoothly through financial crisis situations. When do small businesses seek alternative financing? It is essential to have a sufficient working capital for any business to run smoothly. The working capital could be referred to as the backbone of a company or the core aspect of an organization’s financial health. If there is not adequate working capital it could impede the future progress of an organization. Numerous businesses today, are applying for external funding for generating adequate working capital to take the business to the next level and fulfill all growth aspirations and goals. In this context, you must know that a loan could be covering short-term funding needs while providing the business the amount of money that is necessary for achieving necessary growth and bridging the gap between supplier payments and customer orders for assisting the company to cater to its funding requirements. It is not surprising that both seasoned small businesses and the startups have always relied on alternative business funding for getting the capital they require to expand and progress. Many business owners are refused loans from banks and other traditional financial institutions. Statistics reveal that just 39 percent of the people who apply for a loan for their small businesses from the conventional financing sources, successfully get an approval. So a huge number of businesses are deprived of financial assistance and many of them face loan rejections from the traditional avenues. 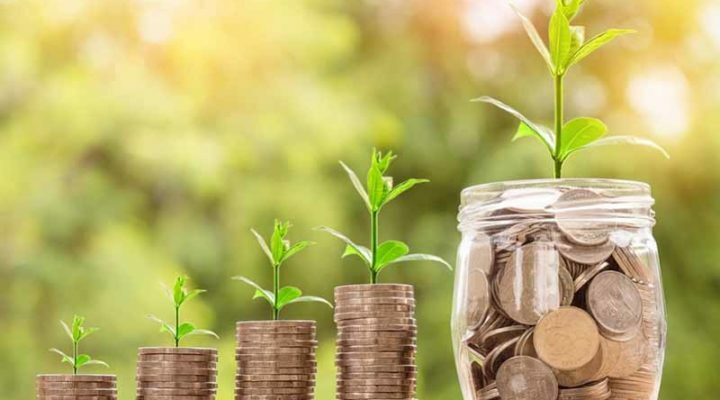 Ever since the economic recession, very few businesses are able to get adequate funding from the traditional sector so alternative funding options have evolved over the years that help your business to expand and establish a niche for itself. Let us explore some of the unconventional or alternative funding options that are available to the businesses today. Suppose you have been operating an established organization that just went through a bad month. In cases, when you require funds for covering short-term expenses like operational expenses, accounts payable, and employees’ wages, etc. you would be getting the working capital loan. These are supposed to be alternative business loans for catering the short-term requirements. These sorts of working capital loans would not be utilized for buying long-term assets or equipment & machinery. We know that the businesses that belong to the manufacturing industry would often get an appropriate working capital loan approval for covering the lean months. You must browse through debt company reviewsin case you are already facing debt issues. Merchant cash advances are very much in vogue and surely one of the most sought after and popular kinds of alternative funding solutions. This loan has been designed particularly, for all those vendors who are in the habit of using credit cards. As merchant cash advances would be requiring credit card statements instead of credit history, they seem to be a more flexible option for businesses that are in financial doldrums or crisis situations. These are supposed to be really minuscule small business loans that operate in the same manner but just for an average sum of at least $13,000 and a maximum sum of $50,000. These loans are more convenient for startups to acquire but the application processes remain the same. Suppose you have an established business but you require making heavy investments in purchasing big equipment such as tractors or phone systems, you could easily obtain an equipment loan particularly for buying that equipment. They are just like a car loan but each lender would be offering different terms. Another effective technique for covering immediate expenses is known as invoice financing that involves selling off your firm’s accounts receivable for getting working capital. For those businesses with quite big accounts receivable, there could be a boost in cash flow. According to alternative finance lenders, this could be regarded as an ‘accounts receivable financing’ or an ‘invoice factoring’. Peer-to-Peer lending is supposed to be a novel type of alternative funding option that involves obtaining money from individual persons without any bank’s involvement in the process. These could be small loans just like microloans and could be pulling in money from many lenders at the same time. There are many reputed and reliable sites that offer P2P lending opportunities. Some years back, people were quite thrilled with crowdfunding, surely an effective option of alternative funding for businesses. Crowdfunding may not be enjoying incredible popularity currently but it is still regarded as a much more effective and convenient way of helping your start-ups take off with a flying start. Start-ups are always dreaming that someday, someone would walk in and invest heavily in their business because that person has faith in their business concept and unique idea. Today, businesses could afford to dream that way as there are angels and venture capitalists that are eager to step into your business and invest huge sums of money in your startup projects. However, a tremendous amount of networking is necessary for such projects to take off. You could avail any one of the tried and tested alternative financing options. Moreover, you could consider depending on your close friends and family and even your own personal savings for keeping the business running smoothly as before. Irrespective of the purpose of seeking alternative funding, it is crucial to join hands with a business partner that would be having a good reputation in the market as a dependable and trustworthy lender. It is mandatory to evaluate your own financial capability and stability before applying for an alternative funding option.